5.6 Earthquake hits the Bougainville region, Papua New Guinea. 5.3 Earthquake hits Simeulue, Indonesia. 5.1 Earthquake hits Tarapaca, Chile. Morocco – Flash flooding in Morocco has claimed the lives of at least 32 people. At least 24 people have died in the southern city of Guelmim, including 11 bodies that have been recovered from the Oued Talmaadart. More than 200 people, including two French nationals, have been evacuated by air force helicopters. The flash flooding has mostly affected the Guelmim, Agadir, Tiznite, Ouarzazate and Marrakesh regions. China – Two drivers have been killed in a landslide that hit a freight train in Ankang City, in northwest China’s Shaanxi Province on Monday afternoon. The landslide occurred at around 3 p.m on the Xunyang-Zongxi section of the railway, which runs from central China’s Hubei Province to southwest China’s Chongqing Municipality. Eight carriages of the freight train came off the track. 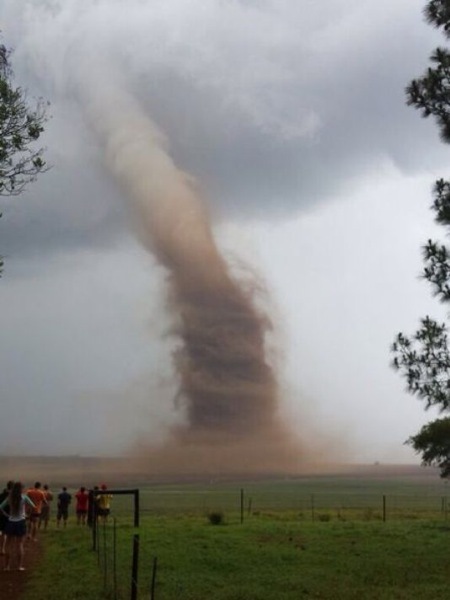 South Africa – A massive tornado roared across a field near Dundee, South Africa, over the weekend. There were no injuries reported but more than 20 houses were caught in the tornado’s path. More tornadoes occur in South Africa than any other nation in Africa. South Africa is often hit by violent thunderstorms during the summer months of November through February, and these storms sometimes produce devastating hailstorms and tornadoes. The Indian government has issued a Statewide alert following the confirmation of an outbreak of avian flu (bird flu) in two districts. The H5 Avian Influenza virus had been confirmed in samples sent to the High Security Animal Disease (HSAD) Laboratory, Bhopal. The strain spreads between birds and can potentially affect humans. A red alert has been issued in Kottayam and Alappuzha districts where the disease outbreak was noticed in ducks. Four panchayats, Aimanam, Purakkad, Kumarakom, and Thalavadi have been affected. 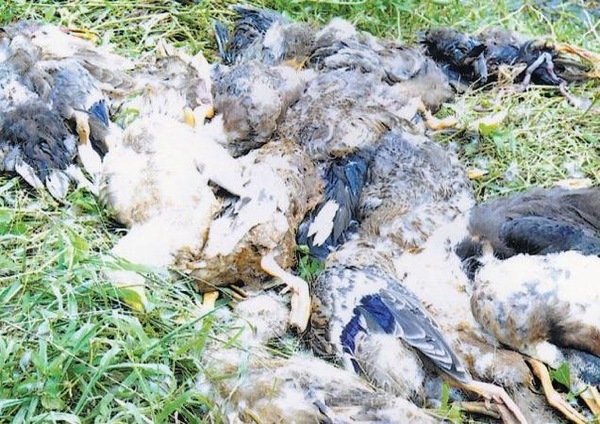 Affected birds would be culled from Tuesday to prevent the spread of the disease. Farmers would be compensated after assessing the extent of loss. Directions had been issued to restrict the transportation of ducks and eggs from Alappuzha to other districts. ogo (Cape Verde): The recent eruption of the Pico do Fogo continues to produce lava fountains from two vents on the volcano’s flank. The erupted lava collects in rapidly growing flows that destroy roads and houses near the caldera, as shown in the new BBC footage below. Fortunately, this new eruption has not yet made any casualties, but many locals are forced to abandon there homes and move to houses constructed for the refugees of the 1995 eruption or to newly constructed temporary shelter. A large ash plume can be seen from Praia, the capital of Cape Verde on one of the neighbouring islands. The eruption also caused the closure of the local airport. Zhupanovsky (Kamchatka, Russia): A strong explosion occurred at 00:15 UTC at the volcano. A plume rose to approx. 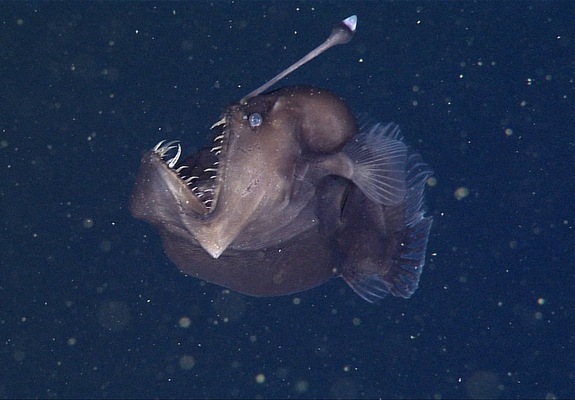 27,000 ft (8 km) altitude. Aso (Kyushu): A small explosion or ash emission was reported from the volcano at 03:00 UTC (noon local time in Japan) via VAAC Tokyo. Cloud cover prevented visual observations on webcams.